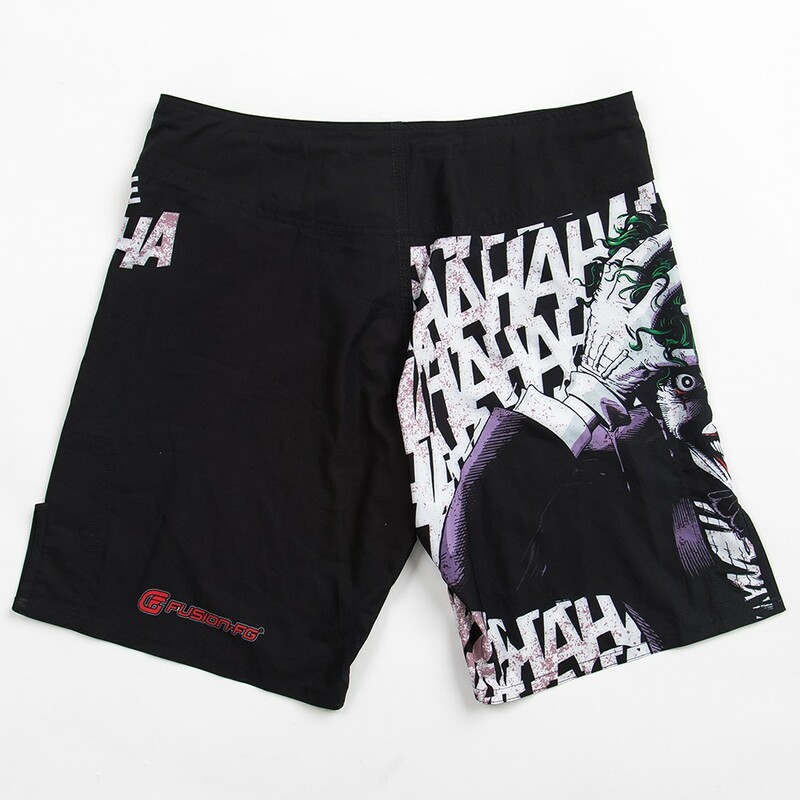 These killer (pun intended) officially licensed Batman Fight Shorts are based on the classic 1988 DC Comics graphic novel “Batman The Killing Joke”, written by Allan Moore, and illustrated by Brian Bolland. Many super nerds like ourselves consider it to be best Joker story ever written, and one of the best Batman comics of all time. 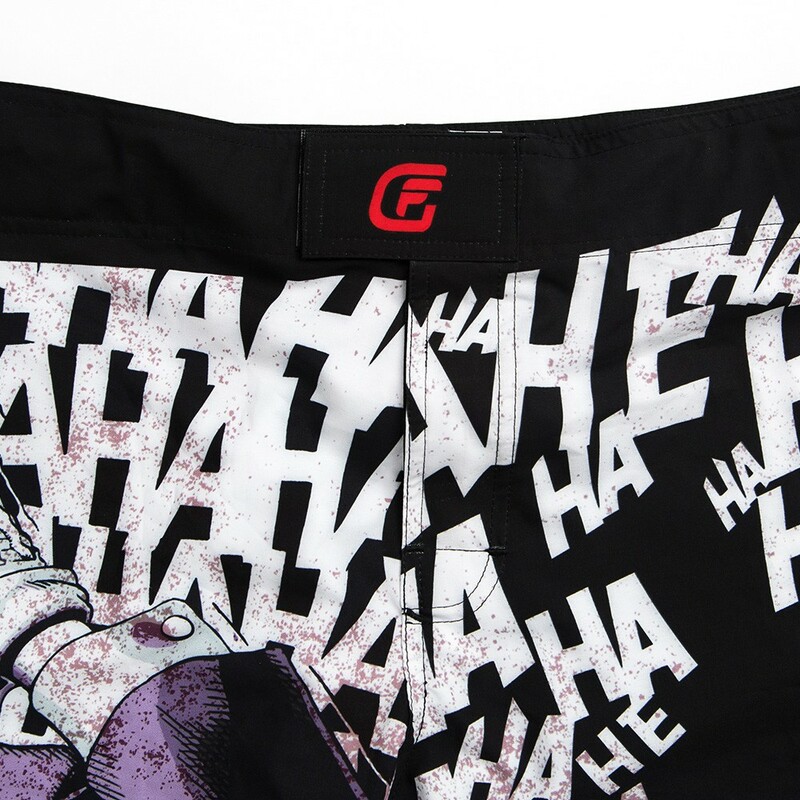 It tells the tragic tale of the Joker’s origin, and shows the reader just what a nut-ball he really is. 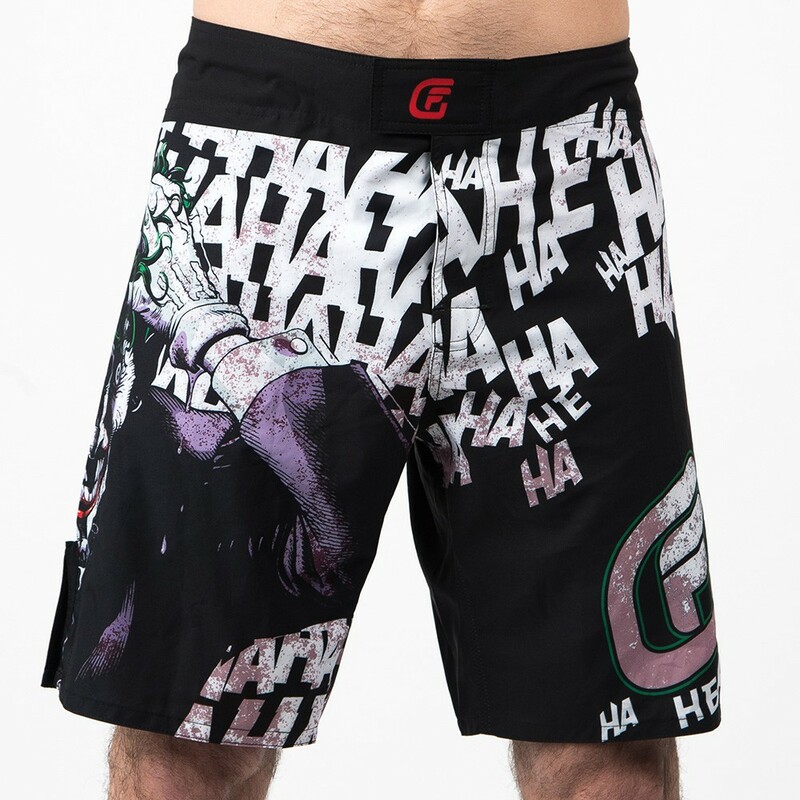 The photo on the front of these Joker BJJ shorts is taken right from the comic, and is of a crazed Joker after he emerges from a chemical waste bath. Not good times. 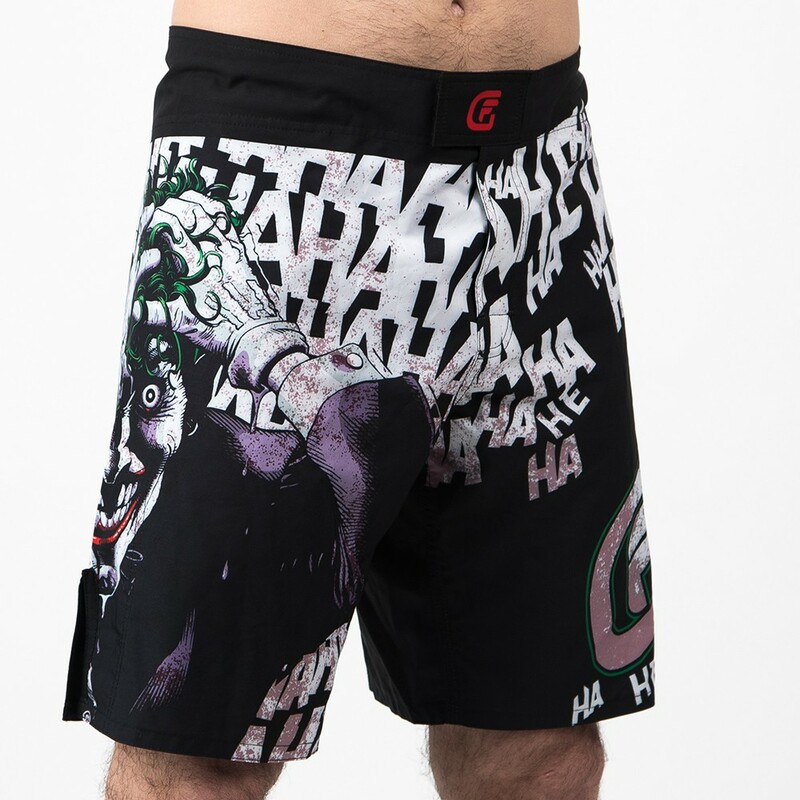 These officially licensed Fusion Fight Gear Batman The Killing Joke board shorts are meant for No Gi BJJ, grappling, MMA, surfing, swimming, the gym, running, or just hanging out with the rest of your Justice League buddies. 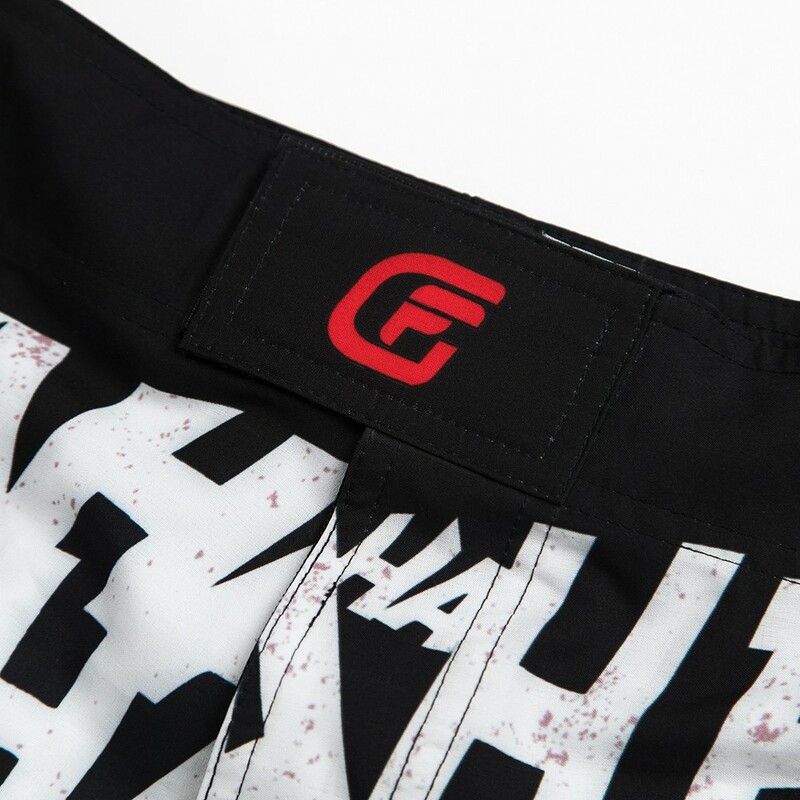 They’ve been printed with a sublimation process meaning that the design will never crack or peel off. 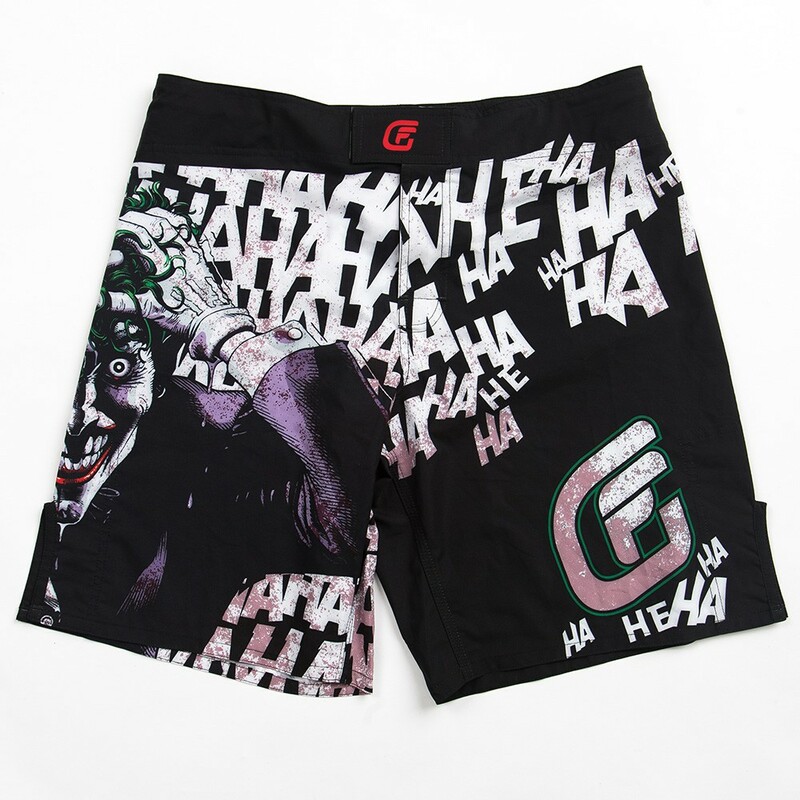 They are also quick drying so they’re perfect for a sweaty gym or a day at the beach. 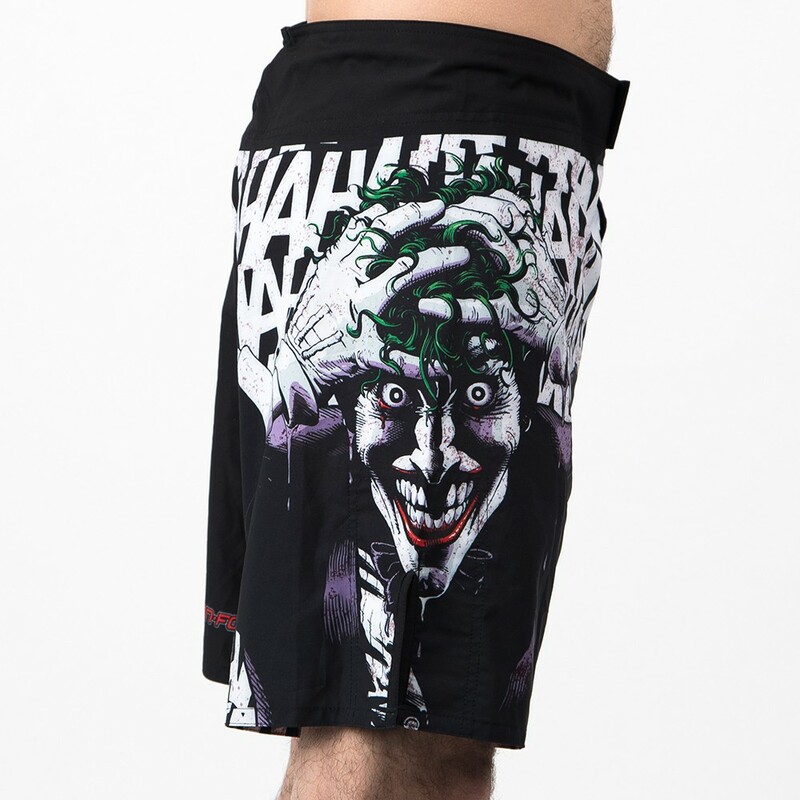 These board shorts come with drawstrings, as well as side slits for increased mobility, and a non-abrasive velcro closure system that won’t damage your other clothes as easily. 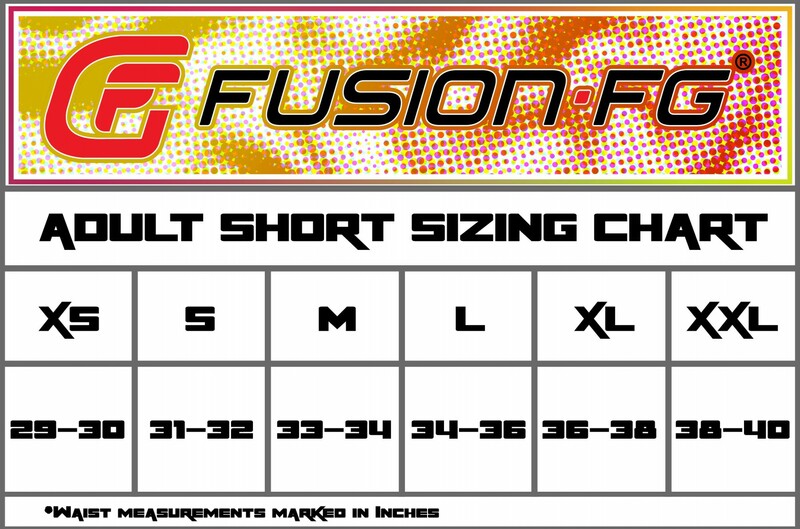 Please note that these shorts fit slightly larger than most, so mind the size chart and check your waist size!